Front to rear. Lord Sempill’s special 35 h.p. Ava-powered Drone, the Kronfeld Monoplane, Kronfeld ground trainer and two Carden-Ford powered Drones. The way in which the Monoplane’s engine was moved rearwards to clear the wing can be compared with the large trailing edge cutout in the Drone. 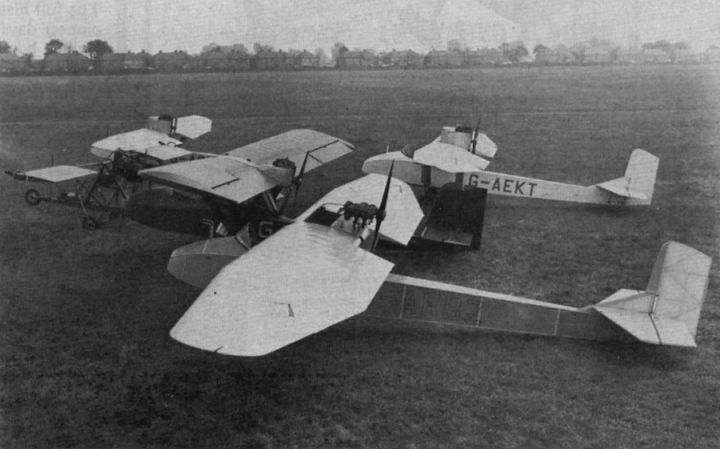 The Kronfeld Monoplane makes its public debut at the RAeS Heathrow Garden Party on May 9, 1937. 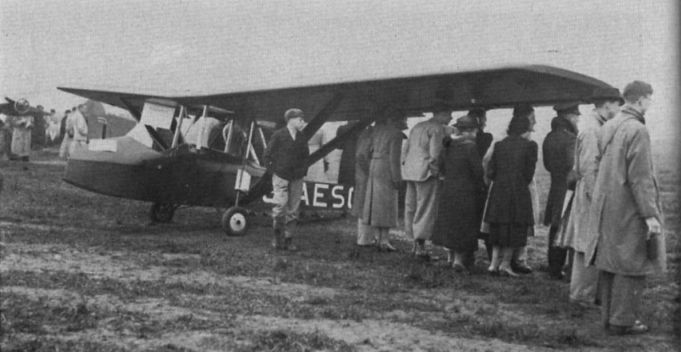 The Kronfeld Monoplane is seen there, serving as a makeshift rain shelter. 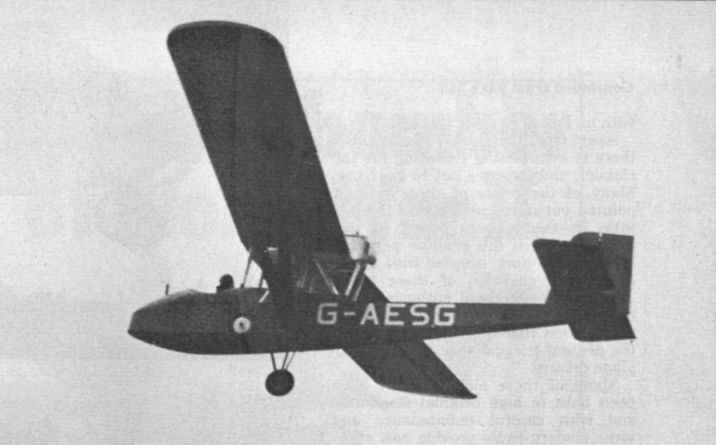 A rare picture of the Monoplane in flight, taken once again at the 1937 Garden Party.